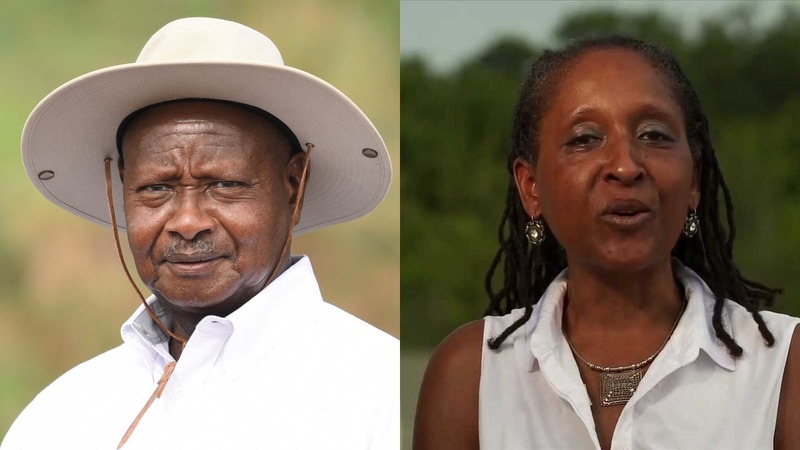 ENTEBBE – President Yoweri Museveni has held bilateral discussions with the new American Deputy Secretary for East Africa, Ms Makila James at State House Entebbe on Tuesday. The President and his guest discussed how Uganda and the United States of America can work together to increase and promote investment and infrastructure development in Uganda. In October this year, American President Donald Trump signed a US$60 billion Better Utilization of Investment Leading to Development (BUILD) Act to promote American corporate investment in Africa. Ambassador Makila said that Uganda has a lot of opportunities that the United States of America would be interested in partnering in sectors such as security and health particularly fighting the Ebola pandemic, among others. “We want to work with countries that have a vision for Africa’s growth and understand what is needed for American companies to invest. We want Uganda to be less dependent on foreign aid,” she said. President Museveni said that the government was already dealing with bottlenecks such as high cost of transport and electricity so as to attract more investors to the country that would in return help to address issues such as youth unemployment. “It is important for the state to address some issues such as the cost of electricity, transport and cost of capital so that the cost of production is low. Once we deal with those, more investors will be attracted to invest in Uganda,” he said. President Museveni called upon the World Bank and the International Monetary Fund to promote private sector led growth. “Governance and rule of law are software parts of development but there is need to address hardware issues like low cost of power and electricity. Software alone is not sustainable,” he stressed. The President and Ms. Makila later discussed regional issues mainly the security situation. Ambassador Makila said that the US was grateful for Uganda’s contribution towards the African Mission to Somalia (AMISOM). “We are grateful for your contribution and value our security partnership,” she said. President Museveni said there was need to build institutions, such as the Army, so that Somalia would address the institutional vacuum. Ms. Makila also commended the President, his government and the people of Uganda for their hospitality towards the refugees. “You are doing an impressive job,” she noted. State Minister for Regional Affairs, Hon. Philemon Mateke, the US Ambassador to Uganda Ms. Deborah Malac and Ms. Kim Harrington the Head of Political and Economic Sector at the US Mission to Uganda, attended the meeting.